The movie looks amazing! J.J. Abrams tells us that the movie takes places after some time has passed when they escaped on the Millennium Falcon. The cast goes on an epic adventure together. The crowd at Star Wars Celebration had nothing but love for Kelly Marie Tran and the new cast member Naomi Ackie who places Jannah. The cast is transforming in a way that clearly shows the diversity of the franchise. I love it! Raise a glass for all the leading ladies. I'm sad to see one leading lady go though. Carrie Fischer says goodbye in this film. Abrams said they used scenes that were previously unused from The Force Awakens and The Last Jedi and built the story around these scenes to share Princess Leia with us one more time. Generation is the key to this movie. It's the final movie in the Skywalker saga. The end of an era. This shot shows the demolished Death Star. Finn finally finds his place in the Resistance as well. He has some serious Han Solo vibes coming out in his new costume. Old friends will appear in the movie as well. I can't want for Billy Dee Williams return to the Star Wars screen as Lando Calrissian and at the helm of the Millennium Falcon no less! The major bomb drop is that Palpatine laugh at the end though! What a great surprise. The laugh sounded like Mark Hamil's Joker laugh, that crazy dark laugh. So creepy! 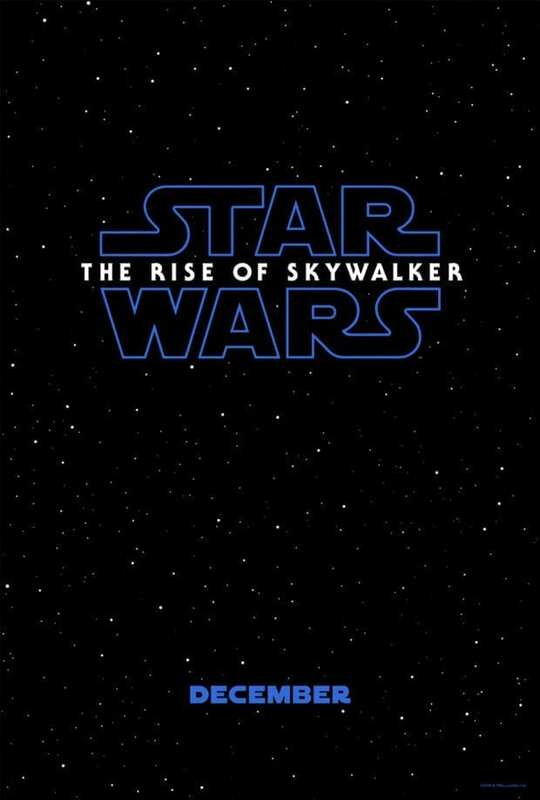 What do you think of the first look of Star Wars: The Rise of Skywalker in the comments!